Photo courtesy Ford Motor Company. Last month, six-year Woodward Dream Cruise sponsor Chevrolet ended its relationship with the annual rolling celebration of the American muscle car, temporarily leaving the event without a corporate backer. Now, longtime drag strip rival Ford has agreed to sponsor this year’s Dream Cruise, taking place on August 19, signing a contract that gives the automaker potential sponsorship rights for future years as well. Dream Cruise is all about the sheer joy and freedom of the automobile, and Ford has always celebrated car culture. From Fiesta to GT, we’re obsessed with making driving fun and we’re committed to celebrating that passion with enthusiasts of all ages in the birthplace of motoring. 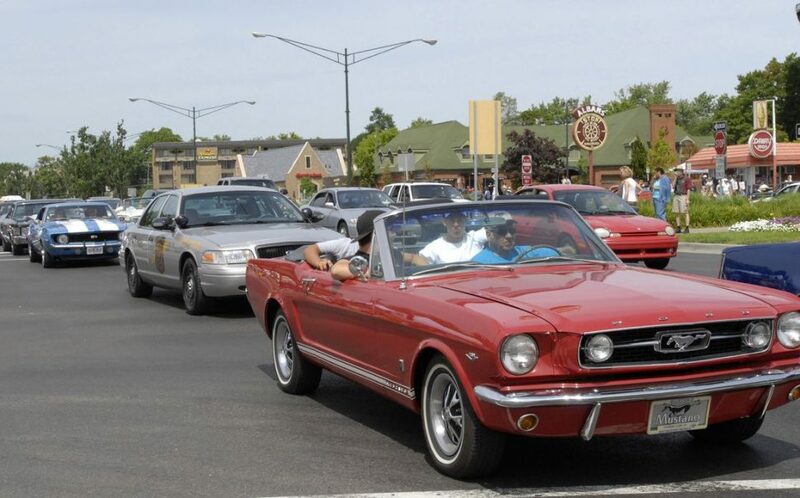 In addition to writing a check (for an undisclosed amount) to become the Dream Cruise’s presenting sponsor, Ford will bring back Mustang Alley for the 19th year, displaying “hundreds of Mustangs” in what’s billed as the largest-ever such event. Its “Driving Skills for Life” program, which uses virtual reality to teach advanced techniques to beginning drivers, will also be part of this year’s events. Overall, the Dream Cruise is expected to attract roughly 40,000 cars and 1.2 million visitors to the Detroit area, and while the official event takes place on August 19, there is plenty to see and do in the days leading up to it. We are elated to have Ford Motor Company’s commitment to the Woodward Dream Cruise, and we look forward to working together on this annual tradition that puts our region in the national and international spotlight. Ford consistently strives to make the Detroit region stronger, and we are incredibly grateful for their partnership. Though no longer a sponsor, Chevrolet won’t be entirely absent from this year’s Dream Cruise. Planned displays from the bow-tie brand include high-performance vehicles at Memorial Park in Royal Oak, along with classic and contemporary Chevy models in Birmingham. For more on this year’s spectacular, visit WoodwardDreamCruise.com; to register a Mustang for Mustang Alley, visit MustangAlleyOn9.com.